Imported Tile PA., Ceramic & Porcelain Tile PA. Create a luxury décor easily and economically with imported Italian tile. Find information on the perfect Italian tile and complementary listello for any room, hallway, or poolside, indoors and out. Information on some of the finest Italian tiles available anywhere. Many of these products are available nationwide. Contact Us If You Are A Licensed Dealer That Would Like Your Business Listed. Special lapping, polishing and edge grinding techniques are applied to certain sizes so they can be laid close together (1 mm joint) as often required in modern architecture. NaturaLifestyles are a hand selected group of imported tiles from some of the finest tile makers in the world and are only available at select locations. A collection of contemporary and traditional imported Italian tiles and complimenting listellos. The Mediterranea Collection is a select group of fine Italian porcelain tile that comes in six distinct styles. This Italian tile design firm has asserted itself a reputation on the most important international markets. Ceramica Del Conca tile, founded in 1979, benefited from the founders' wide experience in the building field both in Italy and abroad and is exquisitely expressed as some of the finest Italian tile designs available. Retailers, wholesalers and installers, if you would like to advertise on this website contact us for details. 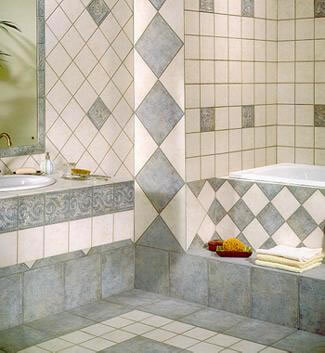 Italian tile is ideal for a wide range of residential and office spaces. Imported from around the world, many distinctive styles and patterns. 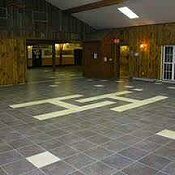 The Floor Authority Flooring Information Source is your one stop source for information on fine Italian tile, Marble tile, Porcelain tile, Ceramic tile. 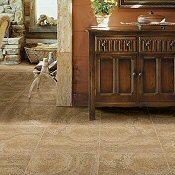 Your One Stop Information Source For The Finest Imported Italian Tile. 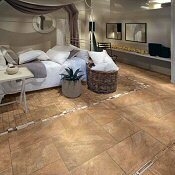 Offering information on Tile, Imported Tile, Imported Italian Tile, Imported Floor Tile, Tile Dealer, Tile Store, Ceramic Tile, Porcelain Tile, Floor Tile, Bathroom Ceramic Tile, Ceramic Floor Tile, Ceramic Tile Flooring, Dal Tile, Kitchen Ceramic Tile, Iris Ceramica, Ceramic Floor Tile, Bathroom Tile, Ceramic Tiles, Ceramic Tile Flooring, Ceramic Tile Store, Italian Ceramic Tile, Ceramic Tile Distributor, Italian Porcelain Tile, Ceramic Tile Dealer, Wall Tile, Bathroom Tile, Decorative Tile, Ceramica Tile. Offering national information including Pennsylvania, Brodheadsville, Tannersville, Stroudsburg, Poconos, Hazleton, Lehigh Valley, Allentown, Bethlehem, Easton, Nazareth, Wilkes Barre, Scranton, Monroe County, Pike County, Carbon County, Luzerne County, Lehigh County, Northeast Pennsylvania, PA, 18322. In the 570, 610, 215 area codes and offering ceramic tile, porcelain tile and tile dealers.